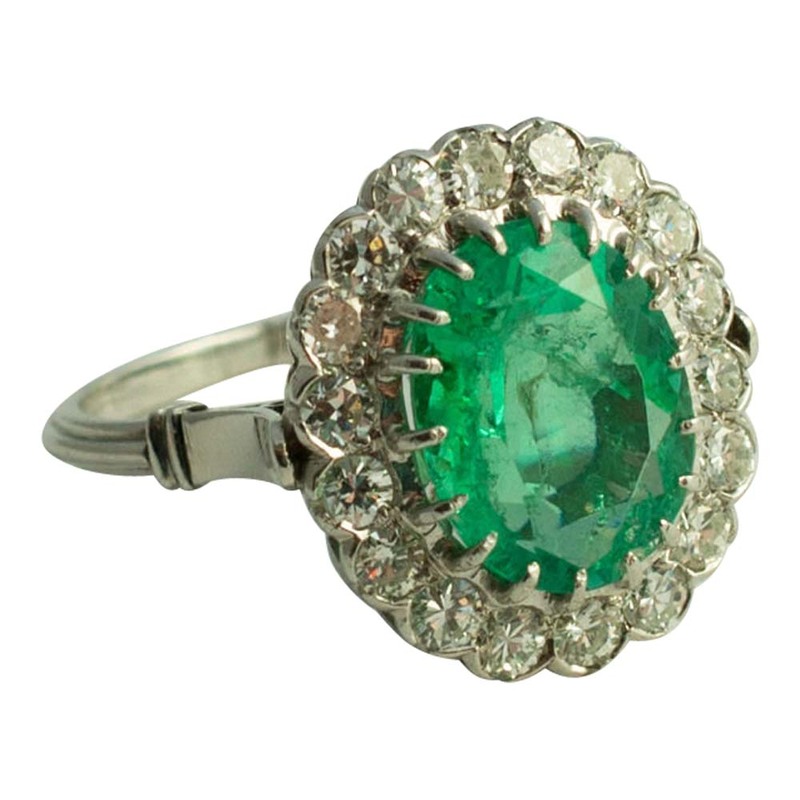 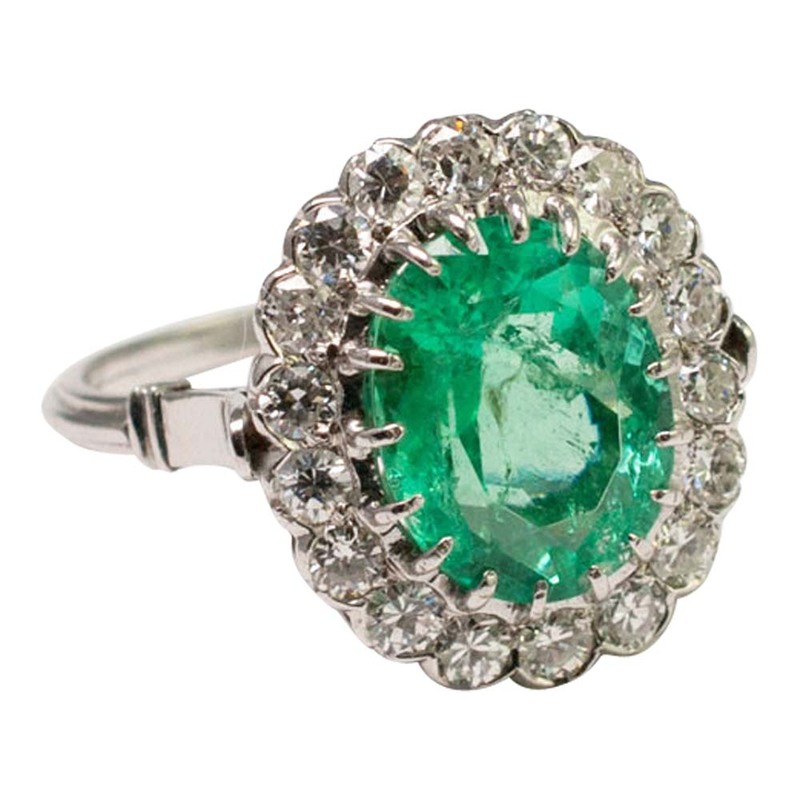 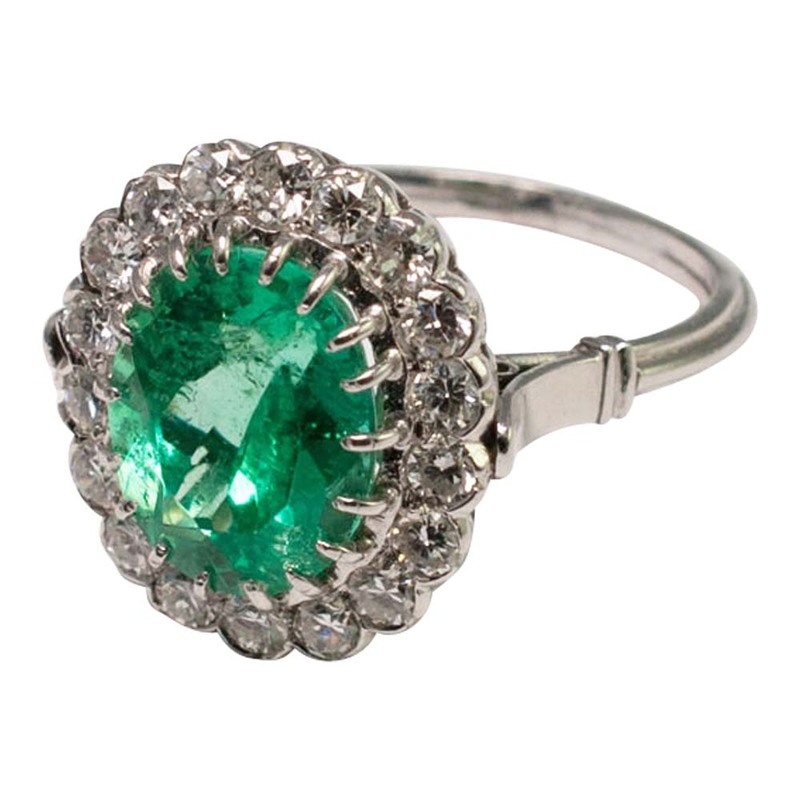 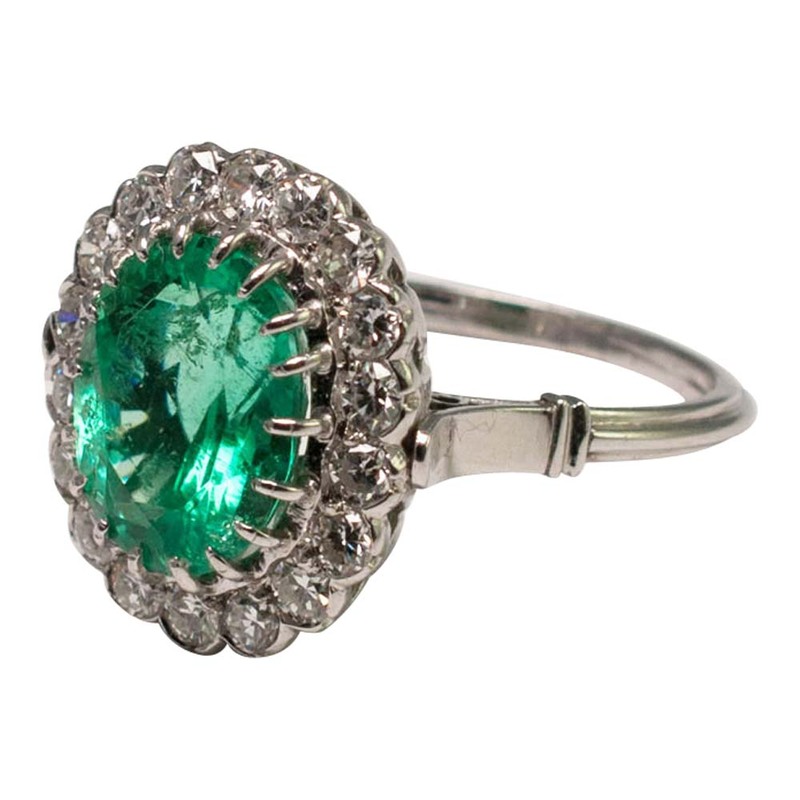 Certificated Columbian Emerald and Diamond Cluster Ring, with an oval Columbian emerald of a luminous bluish/green colour, weighs approximately 4.60ct (assessed mounted) and is surrounded by transitional cut diamonds weighing a total of 1.80ct. 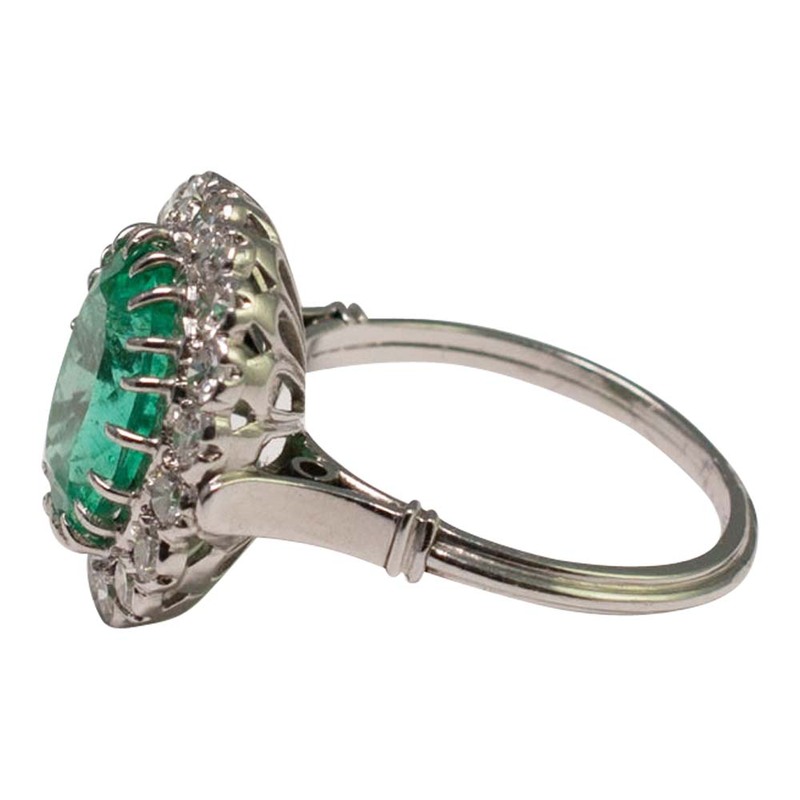 The ring dates from the 1940s and is mounted on a double banded shank supporting a basketwork setting. 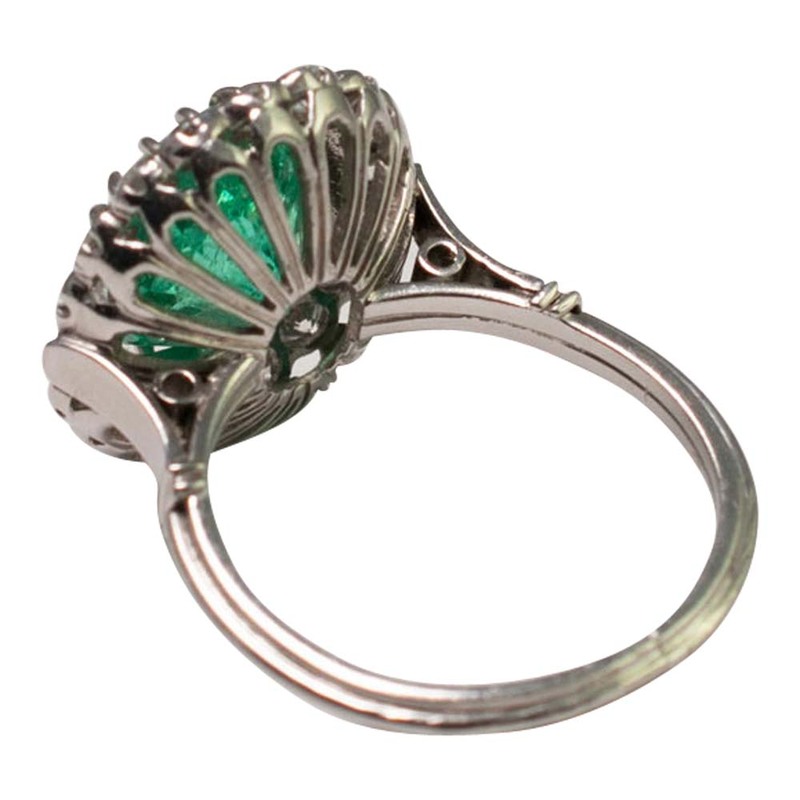 Measurements, 1.90cm long x 1.50cm wide. 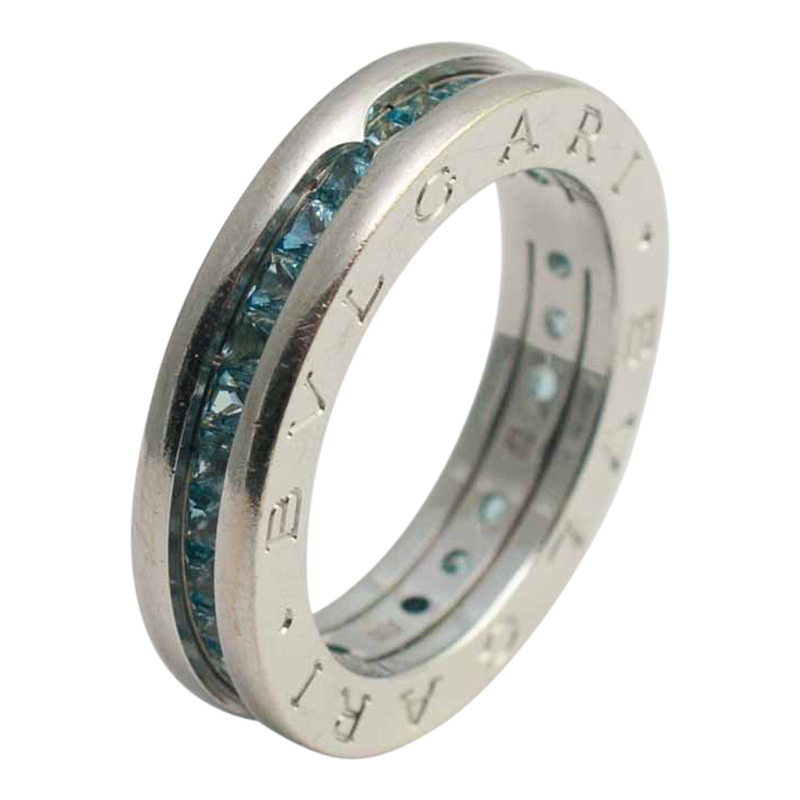 Weight 7.3gms. 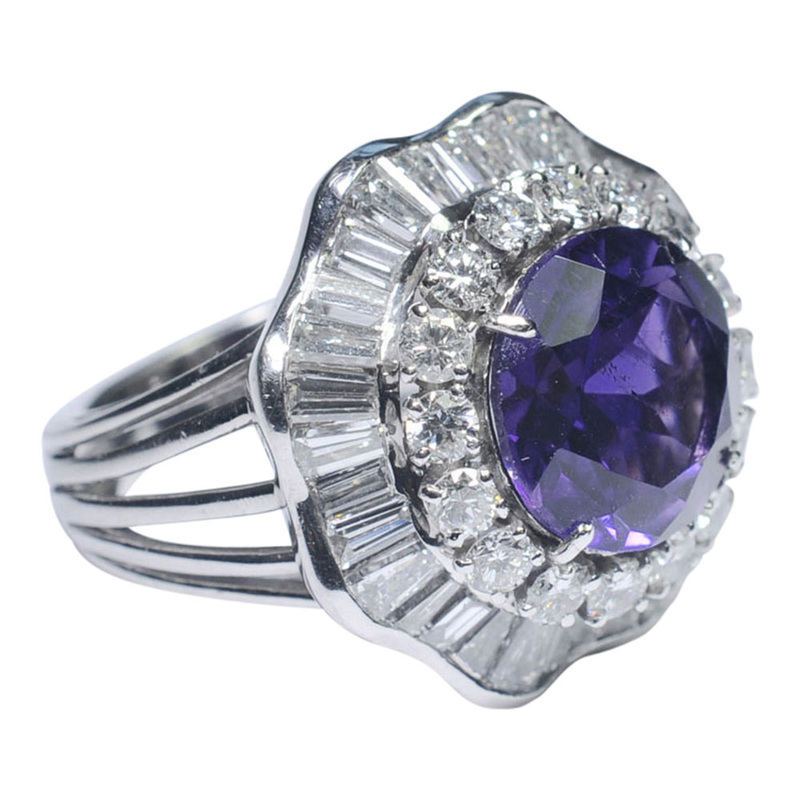 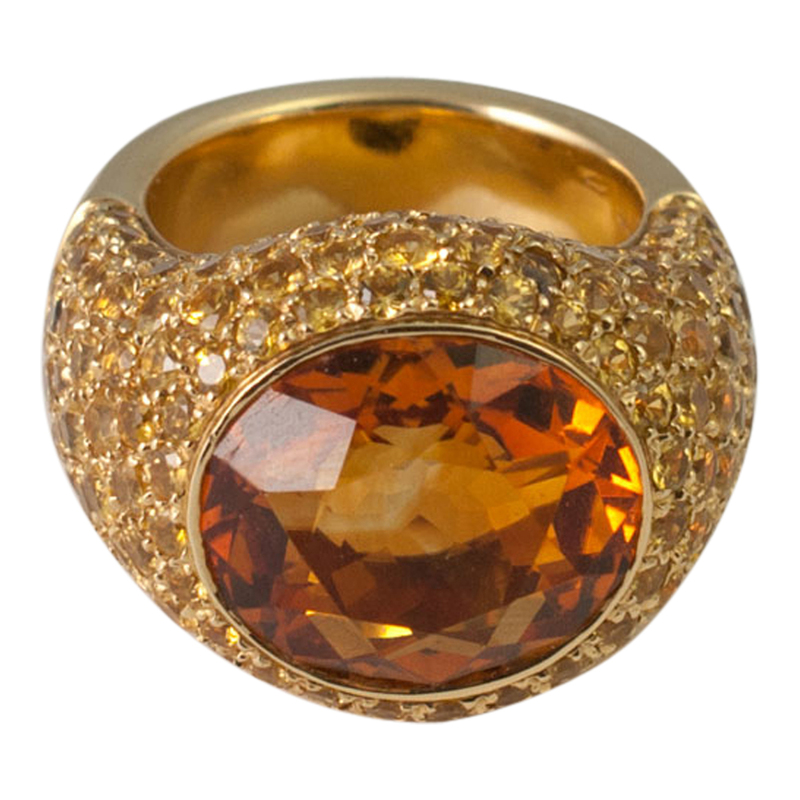 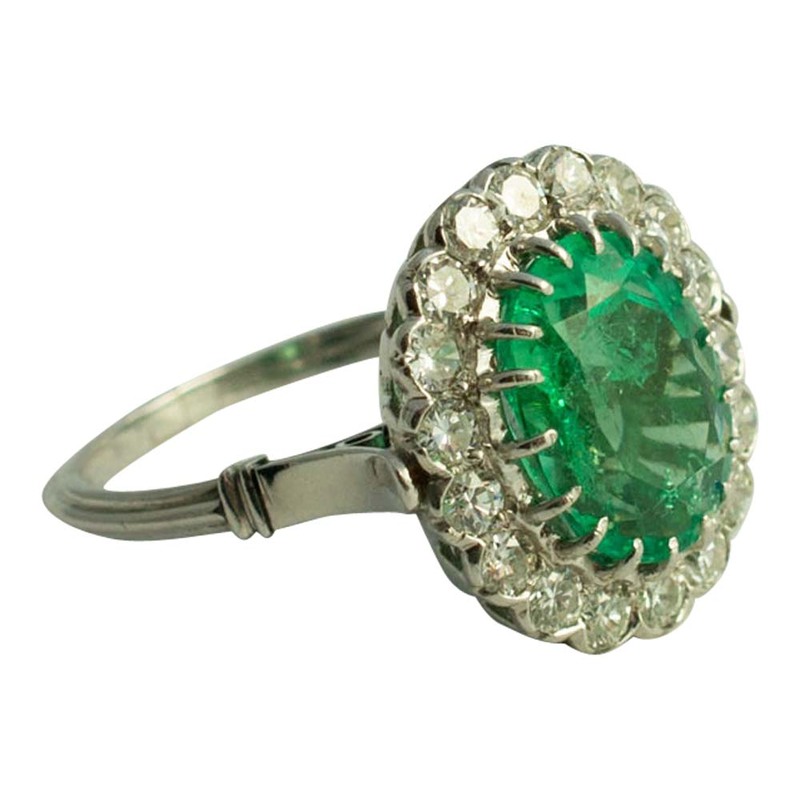 This ring is in excellent vintage condition. 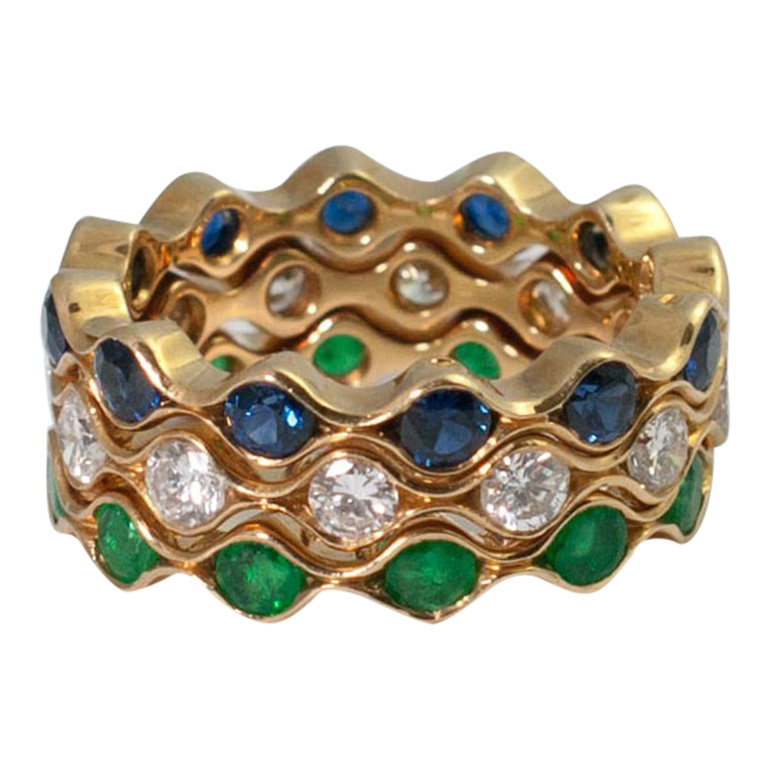 It tests as 18ct gold and is a finger size Q (UK), 8.5 (US), 56 (EU) which we can resize in our workshop. 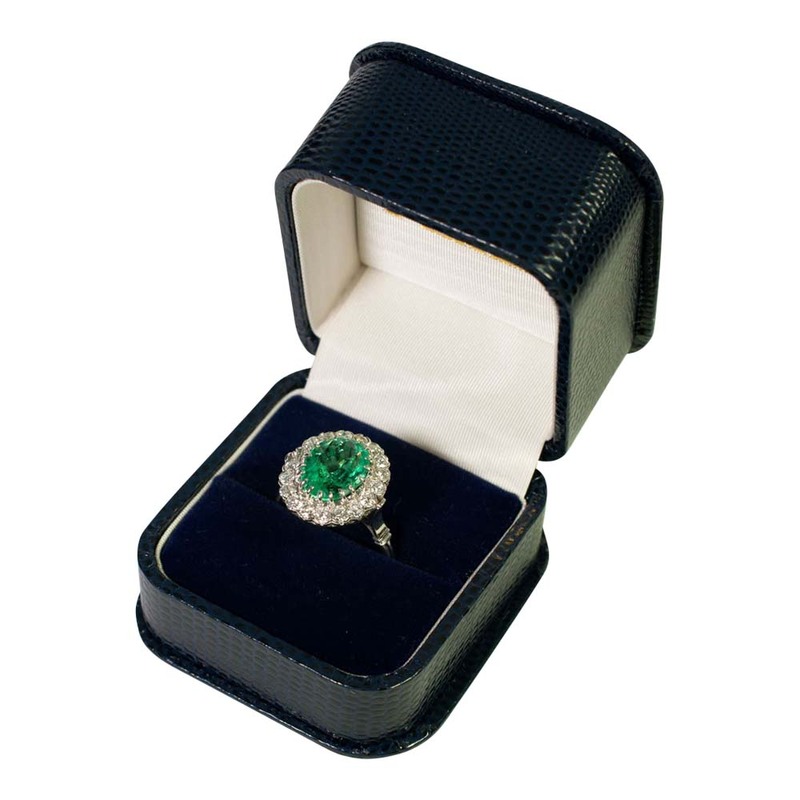 The ring is accompanied by a certificate stating the emerald to be of Columbian origin.